Our Quilt Album drawing has a winner! After 118 comments (some entries included double comments, so we narrowed it down to the actual number of commenters) and our random number generator selected winner #61 for the Quilt Album: Free Give Away of a free software program ! The winner of Quilt Album is..............ta da!......Quilt Mom, Anna! 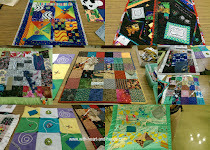 Anna blogs at Quiltmom's Journey . She's delightful and kind and a wonderful blogging friend. So, it's quite lovely that she won. 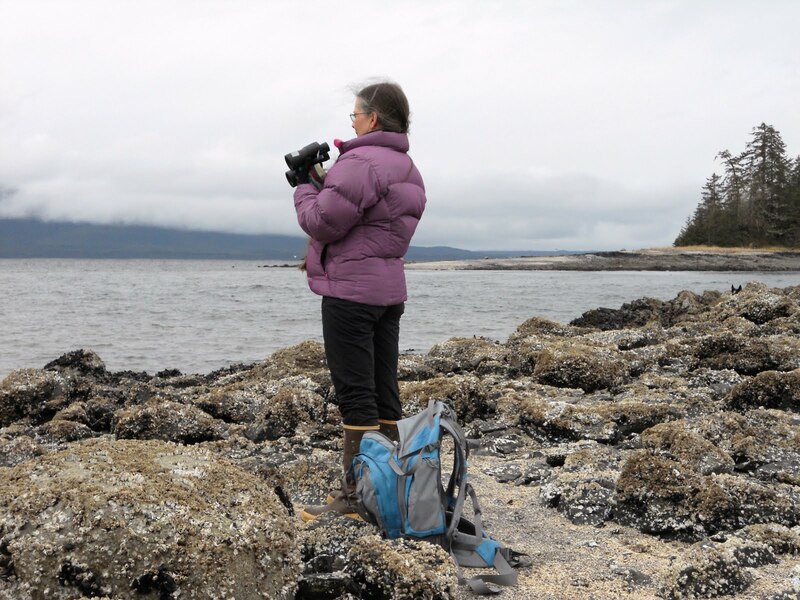 Anna lives in Canada, teaches elementary school, loves family, flowers, quilts, and making beautiful jewelry. Do check out her blog and enjoy lovely things. Oh, Anna...you are going to love having this program.....especially making all of the fun extras. And you don't have to stop with quilts. Make cards of that lovely jewelry you make and insert photos of bracelets or necklaces ..whatever you make can be included in your creative pages. 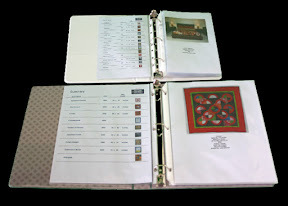 Sure the program is called Quilt Album but it can record and store photos of any and all of your crafts onto pages and into their own albums! Just leave the field with the words quilt unchecked and substitute wording of your own in the notes section! And each and every time you add a page, to any of your albums, it is automatically added to your index, or quilt summary. This summary acts as your quilt record page and your starting off point for connecting to each and every page....either for changing your wording, or printing off that page. Your album pages can be printed off in half-size pages, or full-sized ones. So, you can make a regular sized quilt photo album to keep at home, and a smaller one to take around with you as your own special "Crafty Brag Book" for sharing with others. Best of all, there is a feature that allows you to also create and print note cards, business cards, quilt labels, and return address labels. All using your own quilt photos and including as little, or as much, additional information as you might desire. It's great fun to have others know you're a quilter and see your latest, or favorite quilt, at the same time. I am making some to use as note cards for myself. But wouldn't it be fantastic to give a quilt you made as a wedding, birthday, or baby shower gift and make a card with that quilt on it to match? And what about return address labels ? It does that, as well. 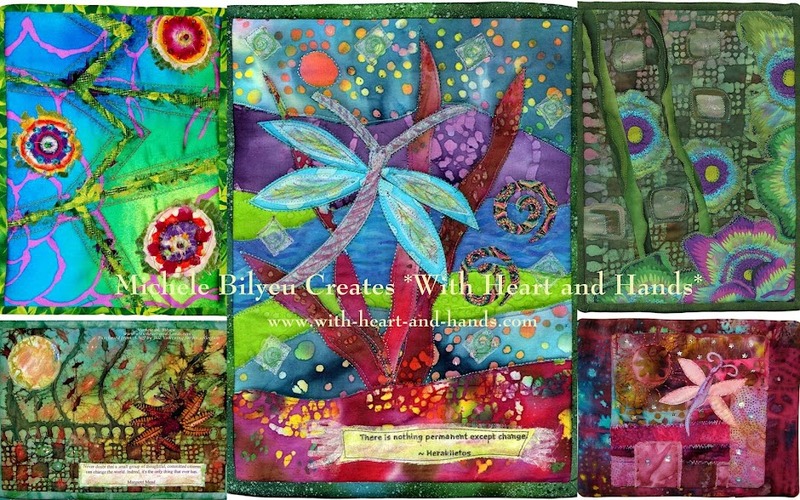 Make different pages with different quilt or quilt blocks as the photo for even more fun and variety. Quilt labels? Make one with a photo of one of the quilt's blocks, add your information, and simply print it off onto a transfer sheet...a personalized label that actually matches the quilt, and features one of its blocks as the photo. But Anna? You can make ones with your jewelry on them, as well. So, ones to hand out with your quilts, ones with your jewelry, and some with flowers for any and all occasions! And if you have lots of spare time, and paper and ink...make cards for the children in your classroom. Imagine their delight to find a little award card with their photo on it (instead of a quilt or a flower or a piece of jewelry!) Yep, I'm going to be going crazy fun with my program...bet you will, too! And for those of you those of you interested in a purchase, a downloadable copy of Quilt Album (either Mac or PC versions) is $29.95 or a purchased disc (both versions included if you have multiple computers) for $39.95. Just consider how many different things it can make and do! As the owners/developers have said, they kept the program simple, the price affordable, the last upgrade was free, and help is always available if you have problems or issues. And they even have a money back guarantee if for some reason, this just doesn't work out for you. And as a special service to my readers, I have a discount code available ......for any and all purchases of this program you might want to make....whether for yourself, or a gift for a friend.Be sure to enter it on the website's order form before you make your purchase! click on the logo, add my discount code at the checkout cart first off when you see the box for that! That makes your final price (after my AEX-F7 $5 discount) only $24.95 for a program that does all of this ! And I have to say that Quilt Album is not a complicated or super fancy art program ..you know the kind that come with a kazillion choices or things to learn....but there are more than enough fonts and colors to choose from to be creative ...and enough fun extras to make the program completely worthwhile....especially for this price! for a $5 Discount bringing a downloadable program to $24.96 and a disc that includes both PC and Mac to $34.95. Use that discount code at checkout before you hit 'purchase'! And if YOU didn't win a Quilt Album ...I am so, so sorry. But only one winner today. But please do remember you are always a winner and you can buy your own quilt album. And my little lady scrappy journal winner? Random number generator for all of you who were, or became a follower came up with a winner, too! That would be #24 Ocean Dreams!! No blog or profile addy for you my new follower, ...I don't know your real name or address, could you please contact me at quiltingjourney@gmail.com? So, I can get this lovely lady to come to your house? Congratulations to both of our lucky winners!!! Thank you, so much for all this fun! Congratulations to Anna! Thanks for hosting this, Michele. I've been to Anna's blog before and she seems like a super nice lady. Congrats to you, Anna! I feel like a bit of a star on your blog. Thank you ever so much for all your kind words and for this quilt album. I have tried to journal about my quilts before and am hopelessly behind. This looks like a great program and I feel very fortunate to be chosen as your winner. I love coming to your blog- there are always so many wonderful things happening on it. I am also proud to call you my blogging friend. I love Anna and her blog. She is not only lucky she is deserving! Thanks, Michele; another blog to visit!